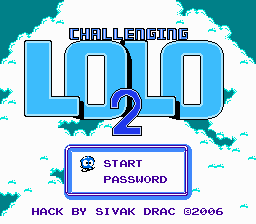 This is a hack of Adventures of Lolo 2. 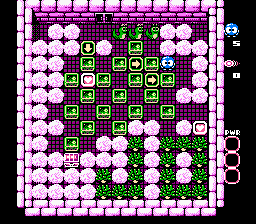 Just like Challenging Lolo, it features 54 new levels, palette changes, and a few graphics changed. 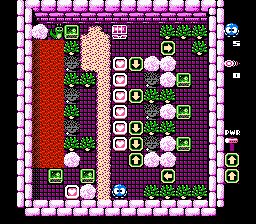 Special thanks to bbitmaster’s level editor for making all this possible and thanks to him for making the 4 new pro maps possible as well!